My Mom bought me this pumpkin a couple weeks ago when she came to visit. I love it. 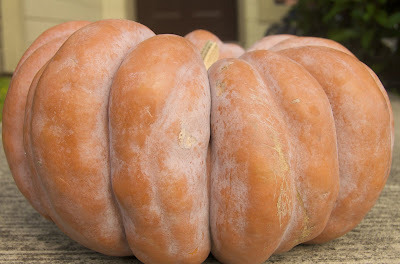 Our grocery store called it a Fairytale Pumpkin. I think they are right. It looks like a fairytale. I hope it lasts through Thanksgiving. I think it is the perfect fall decoration.